WE CAN, WE MUST, SHIFT THE DEBATE! QUESTION & ANSWER: Followed by breakout into action groups. Baltimore Nonviolence Center; Bethesda Friends Meeting; CASA de Maryland; Center for Peace, Fred. Co.; Chesapeake Citizens; CCAN; Citizen-Soldier Alliance, Baltimore; Columbia Christian Church; Democracy for America, Mont. Co.; Fellowship of Reconciliation; Friends Meeting, Annapolis; Gray Panthers, Metro DC; Green Party, Anne Arundel Co.; Green Party, MD; Green Party, Montgomery Co.; Healthcare-Now of MD; Homewood Friends Meeting; Little Friends for Peace; MD Black Family Alliance; MD United for Peace & Justice; MCCRC; MCPA; Muslim Amer. 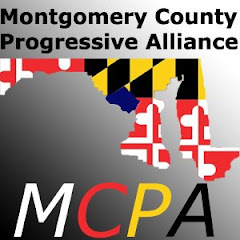 Society/MD; NAACP/MD; Network of Spiritual Progressives, MD; Orthodox Peace Fellowship; Pax Christi/MD; Peace Action, Anne Arundel Co.; Peace Action Montgomery; Peace & Justice Coalition, Prince Georges; Pledge of Resistance, Baltimore; PDA, MD; Progressive Cheverly; Progressive Maryland; Progressive Neighbors; Prosperity Agenda; RRUU/Social Justice Council; Sandy Spring Friends Meeting ; Sheet Metal Workers International, L 100; SCLC/Mo. County; UFCW Local 1994 MCGEO; Veterans for Peace, Baltimore; Veterans for Peace, Metro DC; Voters for Peace; WeGreen USA; Women’s International League for Peace and Freedom/DC. Other sponsors of this Town Hall: Montgomery County Peace & Justice Studies Association; American Friends Service Committee—DC; Social Security Works; Coalition on Human Needs;National Priorities Network; Peace Action. Special thanks to UFCW Local 1994 MCGEO for providing funds to make this Town Hall possible!